You have ultra fast Broadband for your PC, laptop and wish to share that connection to your other devices too. You probably hate downloading software for it that may mess with your computer. You can do this using simple command line tricks. Yep, a few lines and you are ready to go. It’s easy to create a Wifi Hotspot using cmd rather than downloading a software that can be also mess up with your PC. 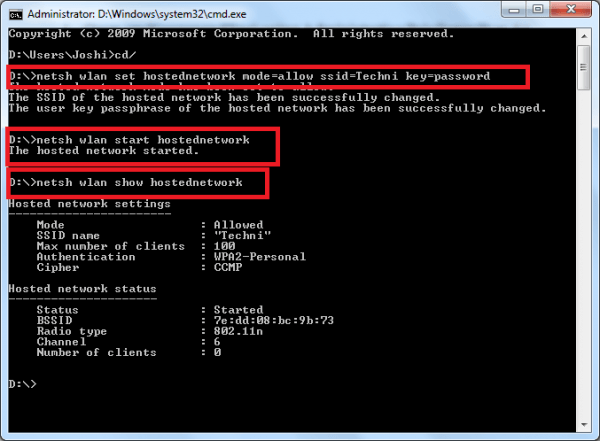 Hence, we will share a simple trick for creating hotspot in your Windows 7/8/10. This tutorial will work on every Windows system. First of all, open command prompt in your Windows. To open command prompt(cmd), click on start and search cmd on search box. now right-click on cmd and click “run as administrator”. Always open command prompt using the administrative privileges. Another alternative is to open Run (Windows + R) and type cmd and click enter to open command prompt. You will get a list of Hosted network settings. 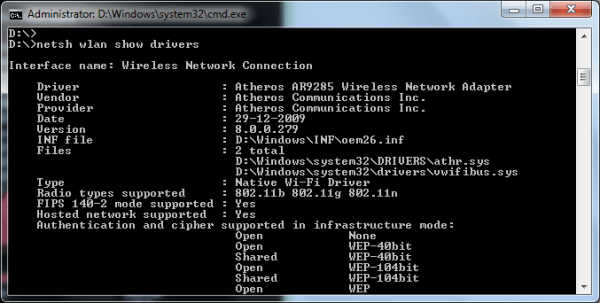 If you got an output as HOSTED NETWORK SUPPORTED: YES, it means that wifi hotspot can be created in your system. Now let’s begin with creating a wifi hotspot. Open cmd(command line) using Administrative Privileges(Run As Administrator). You are done. Enjoy!! 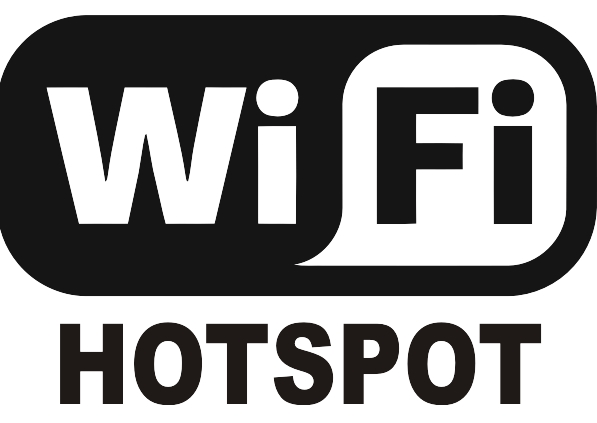 Wifi hotspot will be created with Network name “Techni” and password as “password”. The Wifi hotspot network will be stopped immediately. This trick can be used in any Windows Operating system. You can also create a Wifi Hotspot by going to Network and Sharing centre in Control Panel. But it will take more time. Hence we recommend you to create Wifi hotspot using cmd. You may even convert it into a script file(i.e. *.bat file where “ * ” could be any name. Copy the code from above. Save the file using a *.bat extension. Choose “All Files” in Save As Type option. When running, make sure you run as Administrator using “Run As Administrator option when you right-click it”. If you are still facing any problems while creating a Wifi hotspot via cmd, comment below. You have to open command prompt as an administrator. To do so click on Start, search for cmd, right click on cmd and select “run as administrator”. U need to reset your Wifi adapter. Go to Network Settings, Then Go to Adapter Settings and reset it. Also make sure, you have Sharing enabled for your wifi network.